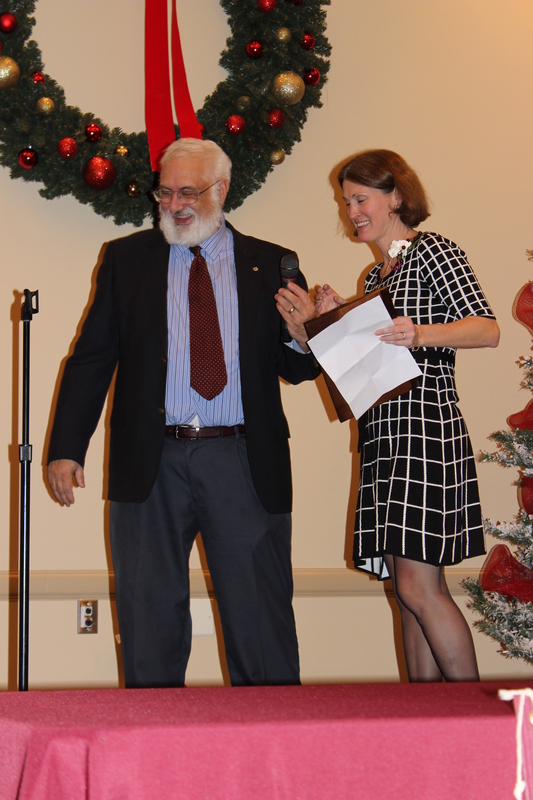 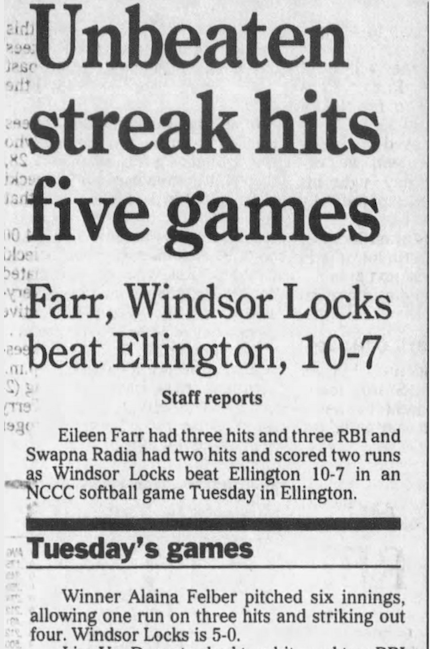 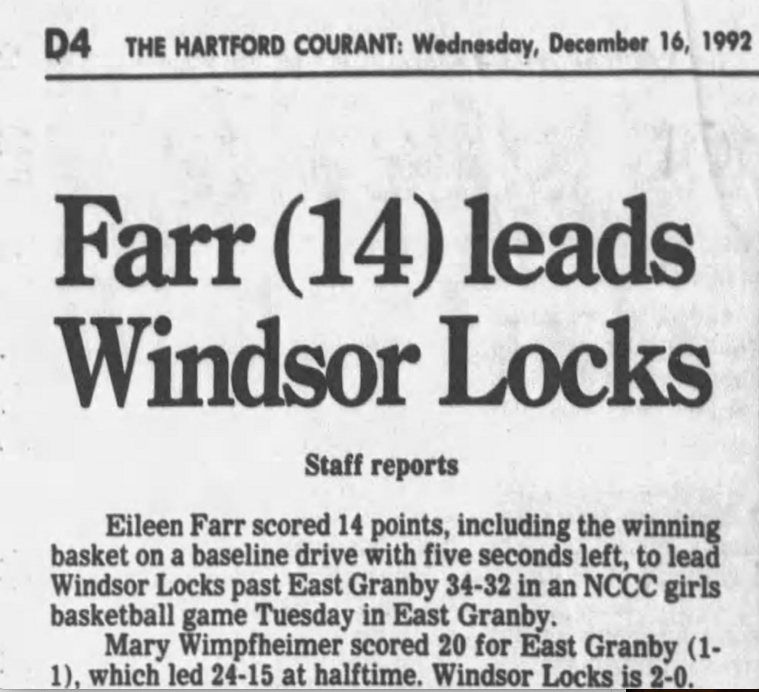 There have been some fine athletes raised in Windsor Locks by the name of Farr. 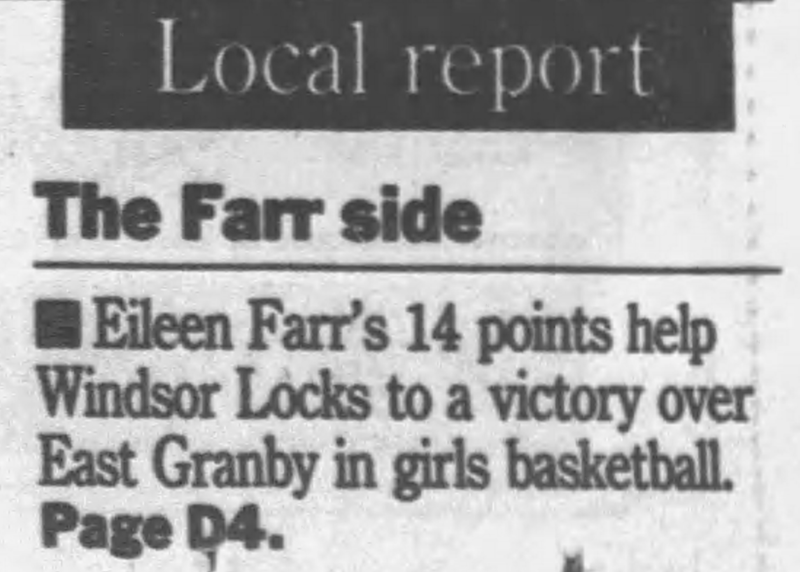 Eileen (Farr) Annis did more than advance the pedigree. 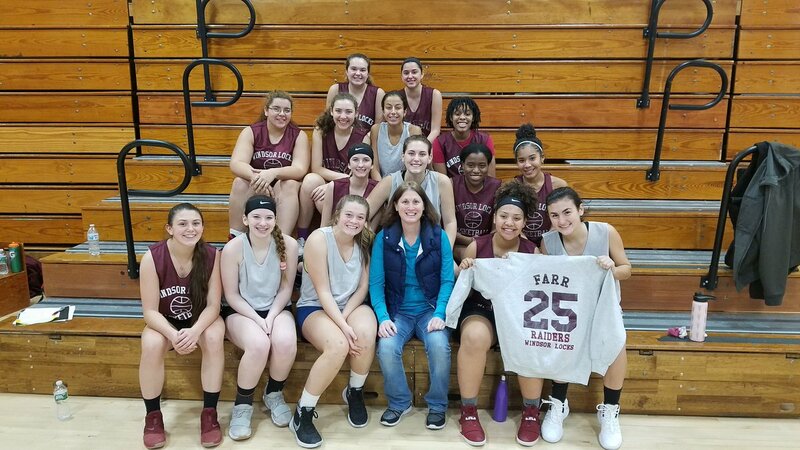 She achieved great honors while serving as an inspiration to the female athletes who played with her, and those that followed. 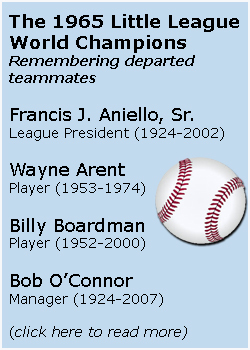 Eileen was a four-year starter in three sports at WLHS: soccer, basketball and softball. 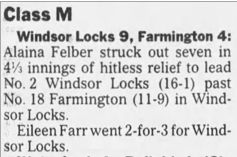 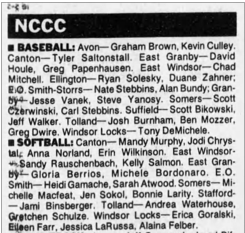 But Eileen did not just play three sports; her athletic ability and tremendous perseverance earned her the All-Conference selection and the captaincy in all three sports–a feat no one else from Windsor Locks had achieved. 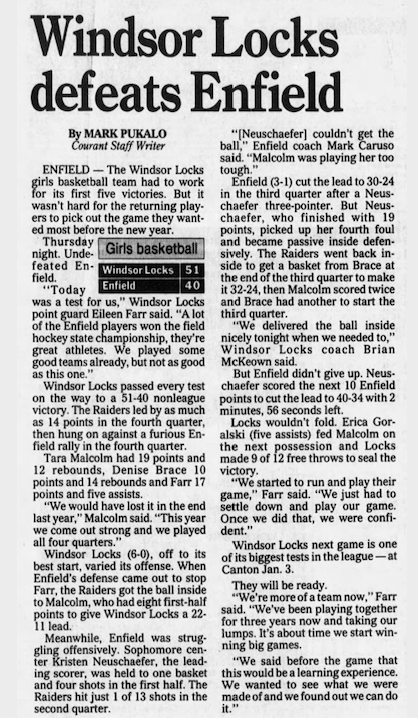 During Eileen’s senior year, she averaged 13.5 points per game and the basketball team went 19 and 5. 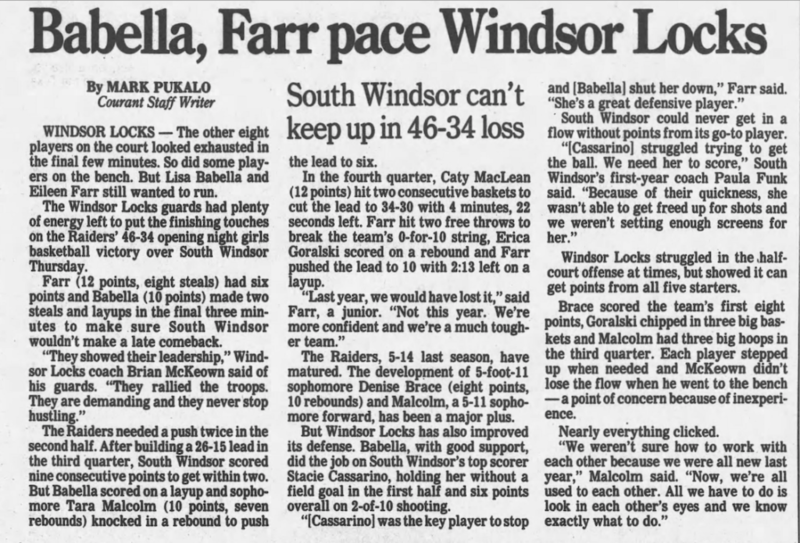 She led the league in three-pointers and was voted to the All-State team. 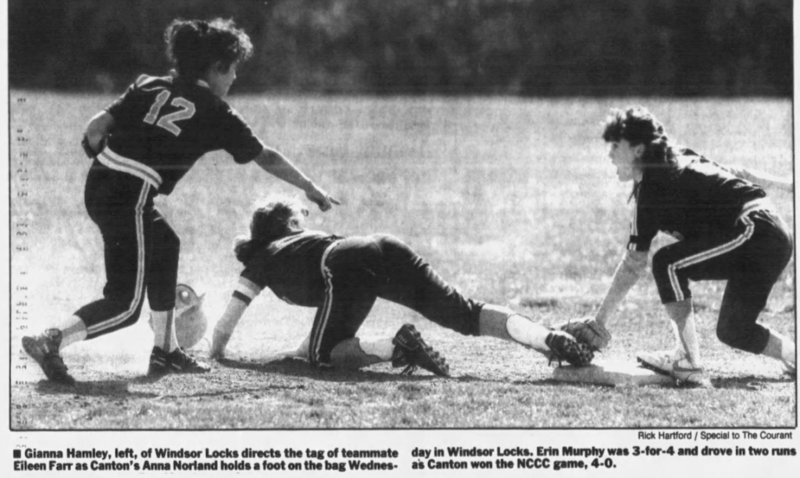 In softball, she hit over .400 her junior and senior years. 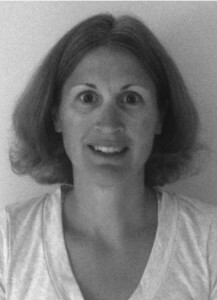 Eileen credits four successful years to two impact coaches, Brian McKeown (inducted into the WLAHOF in 2013), Pat Scelza (inducted into the Hall in 2008), and her fellow Class of 1994 student-athletes. 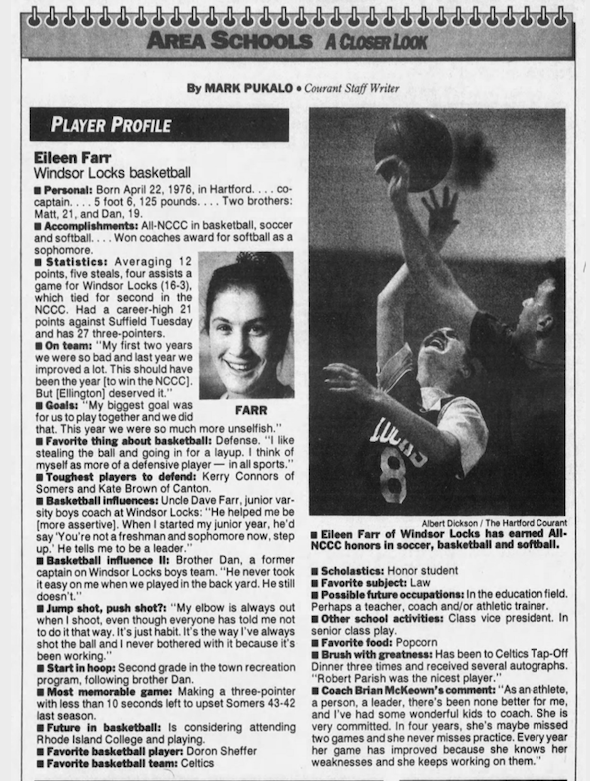 If you ask her, Eileen will tell you that there is no secret to her athletic accomplishments: All she did was, “work hard.” It seems so simple, but Eileen is truly an inspiration and the model athlete every female Raider should emulate.